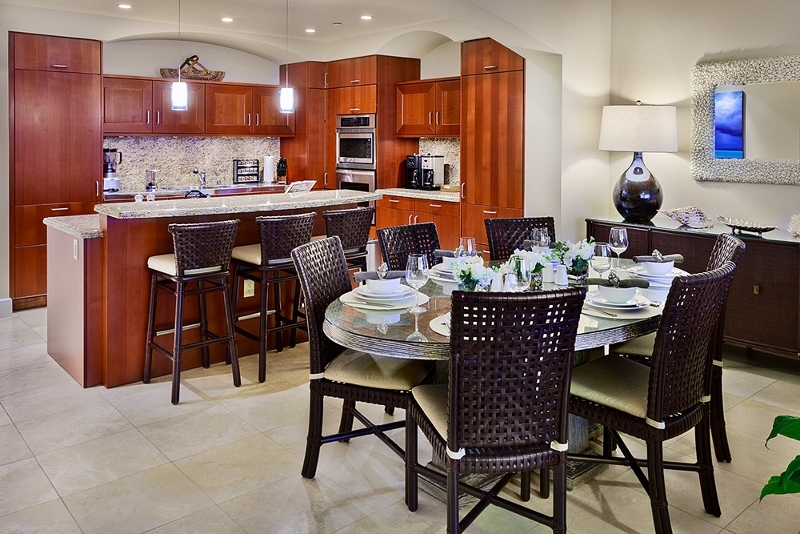 Sea Breeze J405 – Luxury Vacation Homes, Inc. 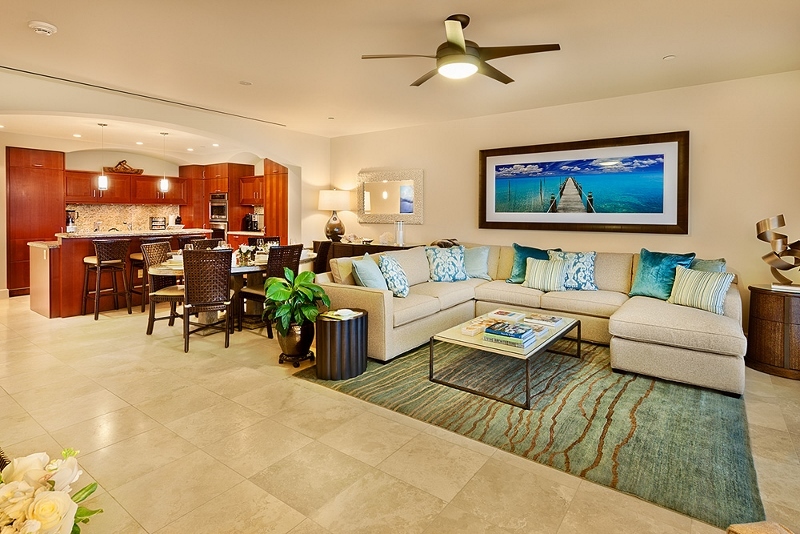 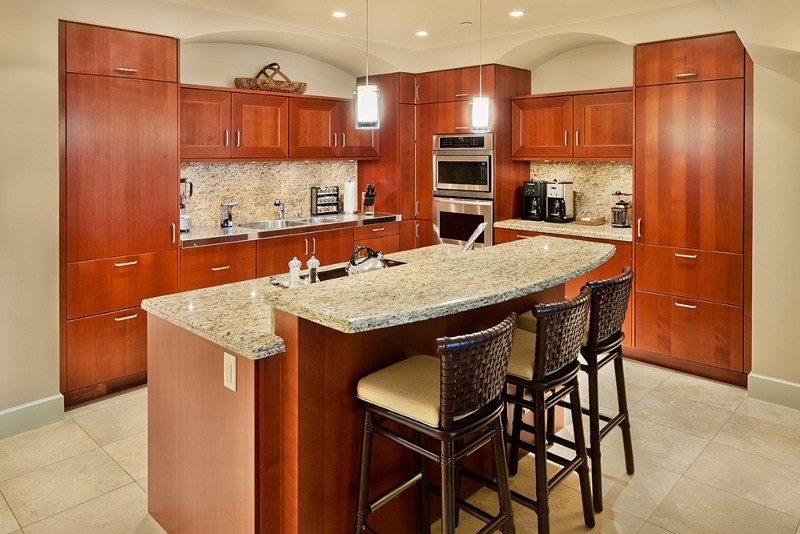 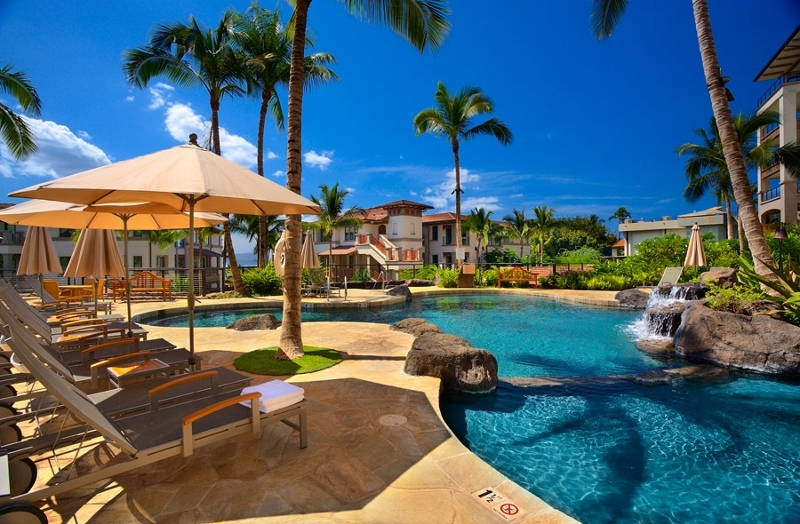 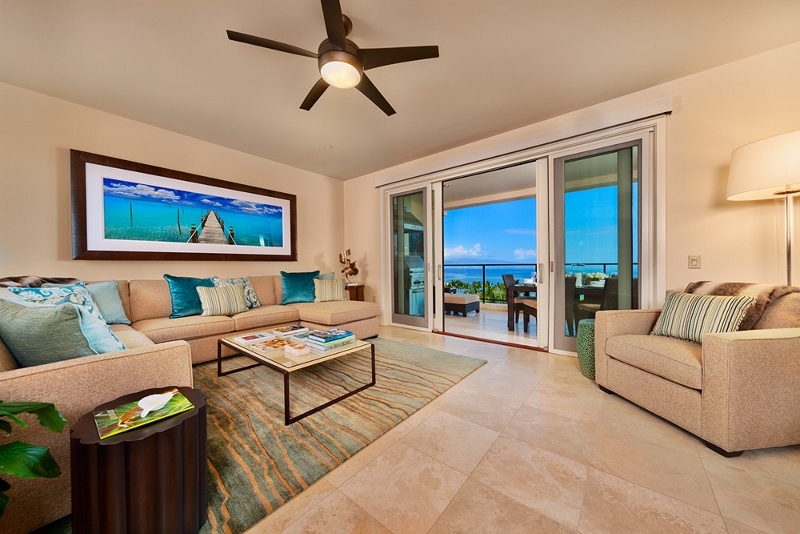 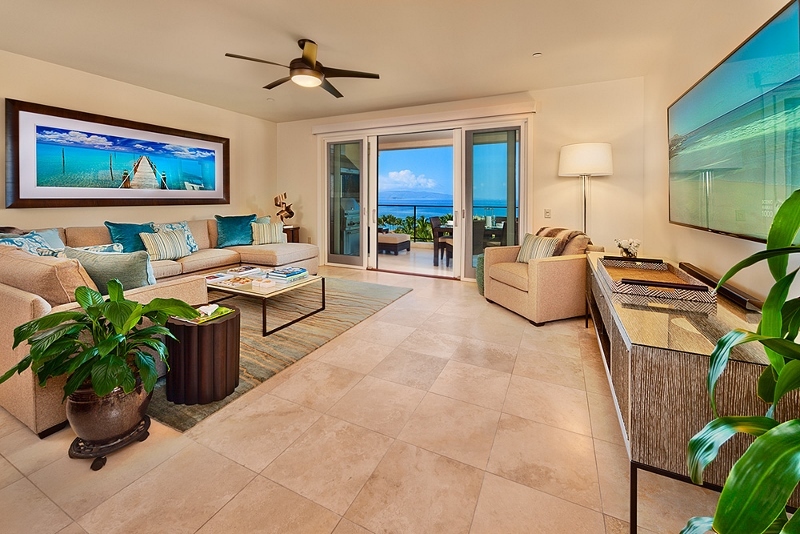 The Sea Breeze J405, with 3 bedrooms and 3 bathrooms, is set on the 4th floor of the penthouse/tower building at the beachfront Wailea Beach Villas villa resort on Maui Island, joined this exquisite collection of exceptional villas in late 2013. 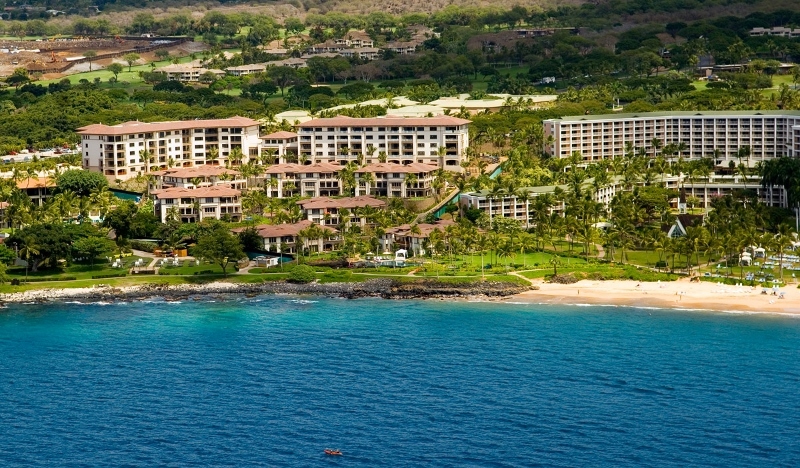 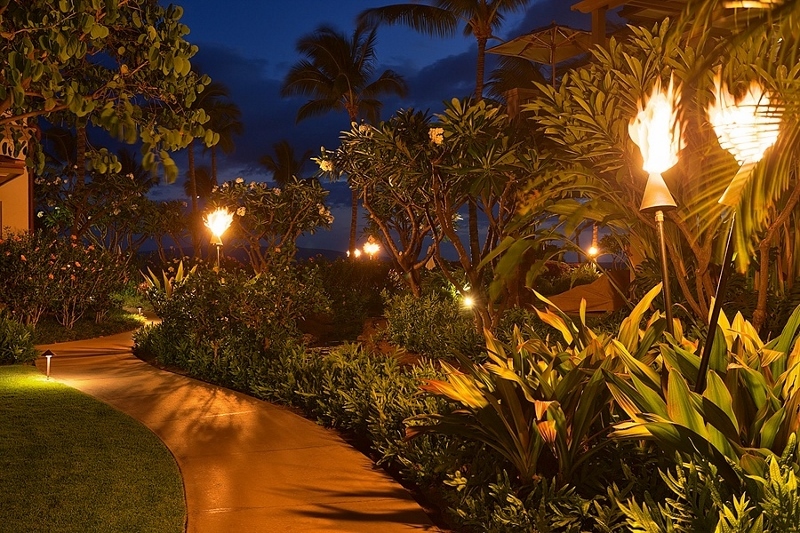 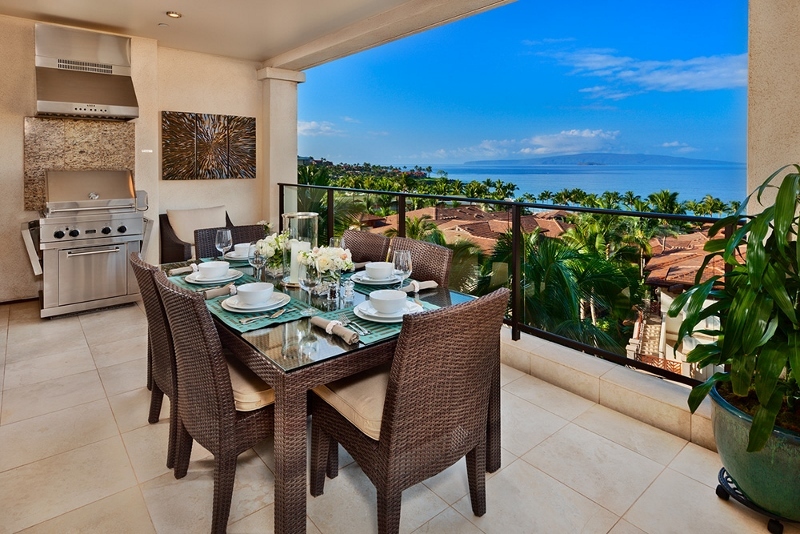 Sea Breeze J405 offers expansive and direct west-facing panoramic Pacific Ocean, Wailea Beach and Sunset views. 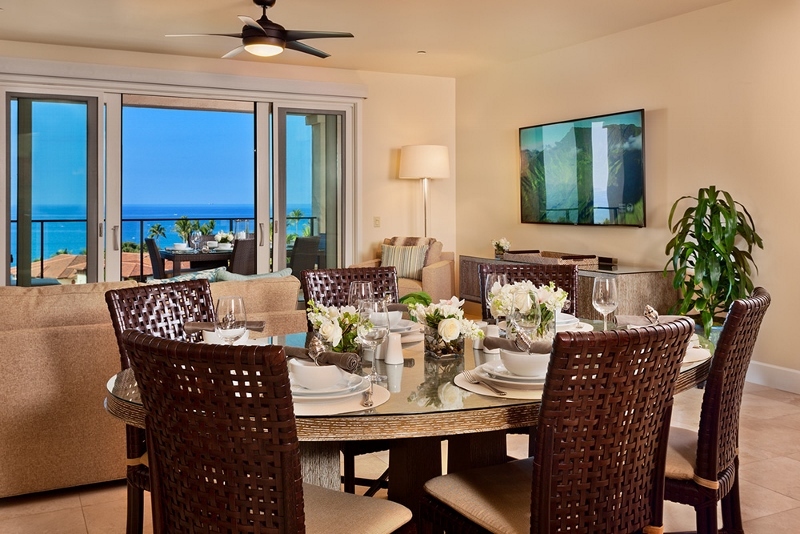 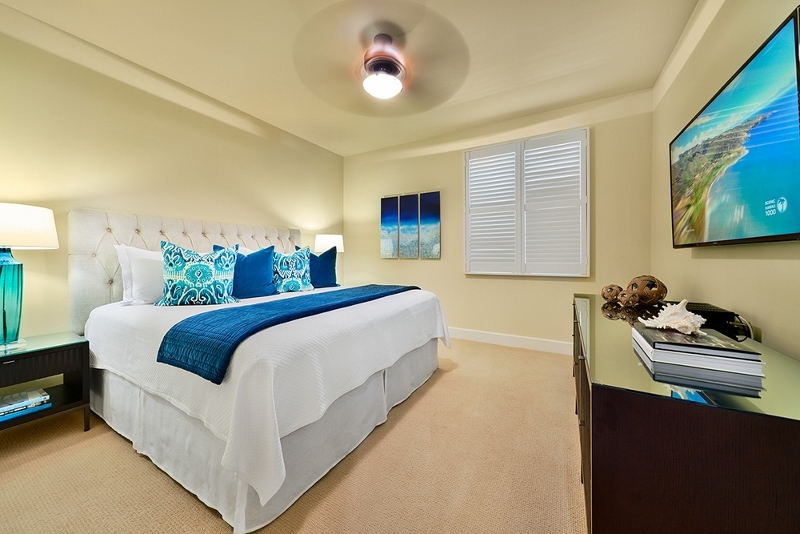 Guests will enjoy a stunning ocean view from the outdoor patio, the great room, and the master bedroom suite. 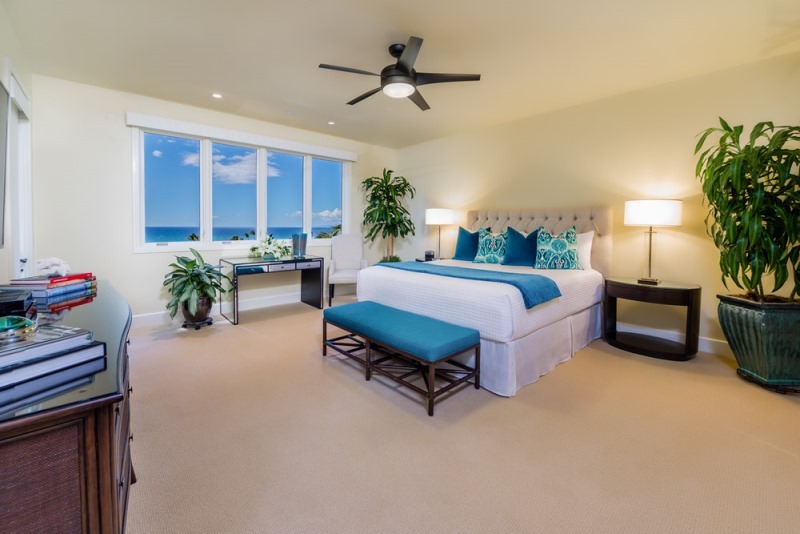 In all of Hawai’i, the Sea Breeze J405 is one of the most spectacular private rental villas available for visitor accommodations. 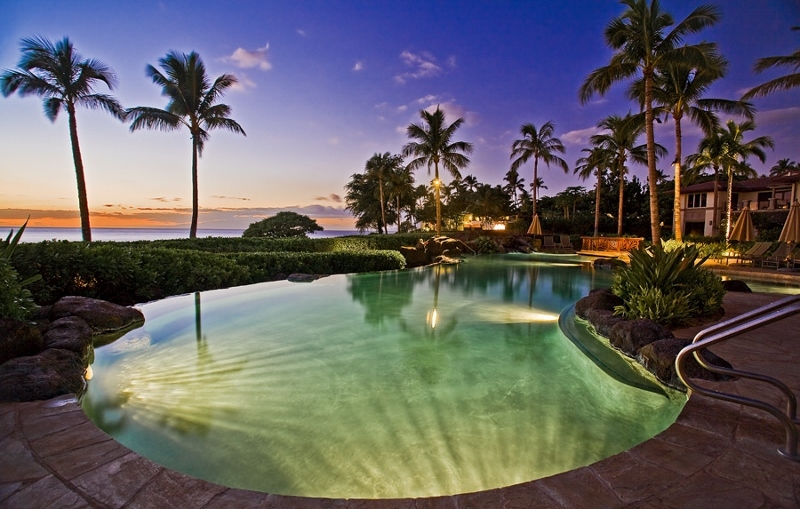 Enjoy stunning scarlet sunsets and silvery moonsets from this premiere location. 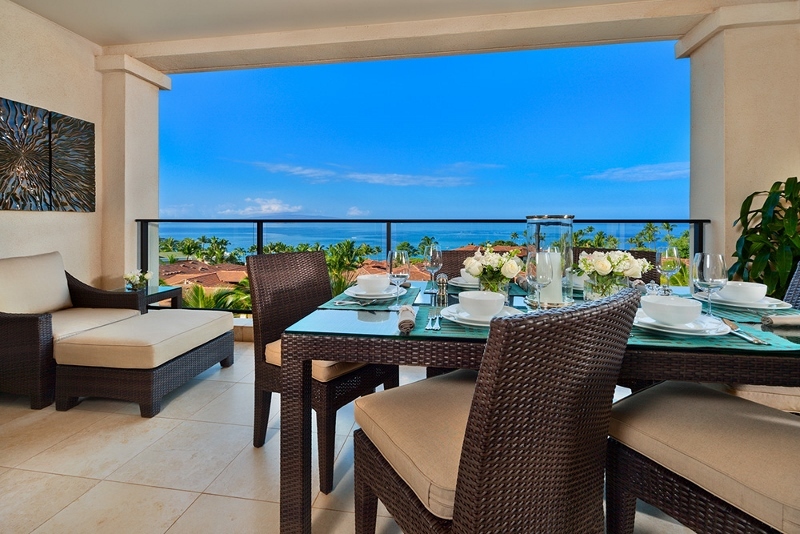 The type of view that J405 offers is unique to just a few residences on the upper floors of this wing of the Wailea Beach Villas penthouse/tower building. 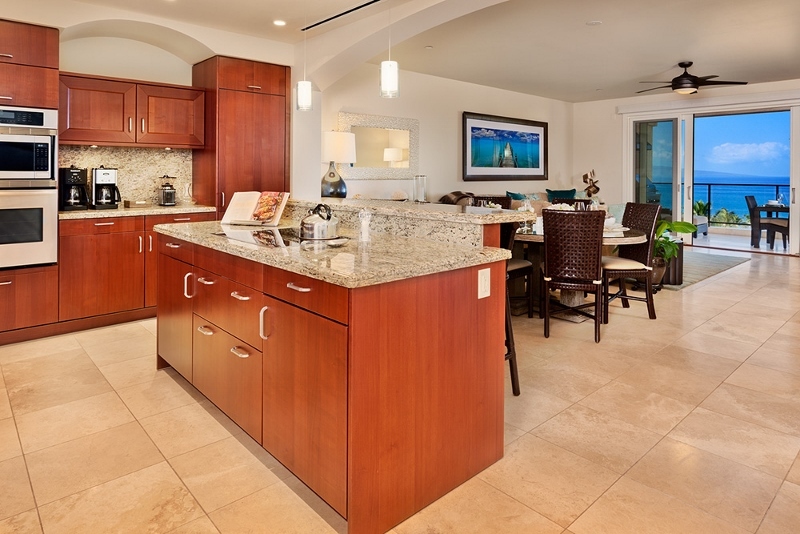 The Sea Breeze J405, was purchased by new owners in the summer of 2013. 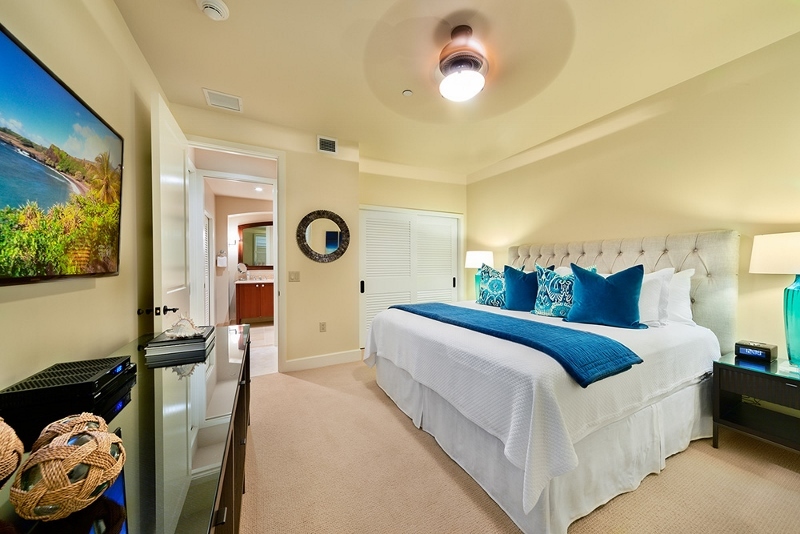 They installed all new contents and completely refurbished the entire upper floor penthouse/tower villa. 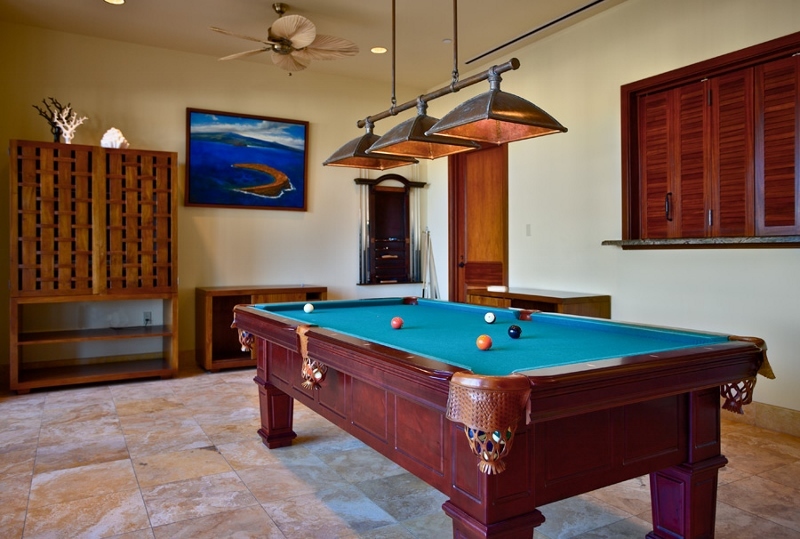 The owners envisioned a luxurious residence featuring the finest quality furniture and art in the marketplace. 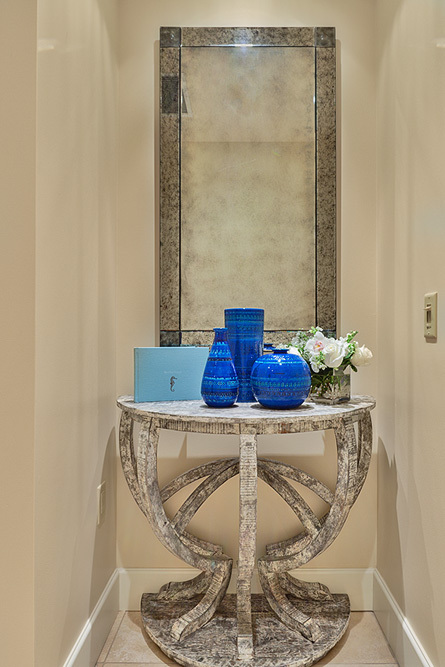 Furnishings have been sourced from Barbara Barry for McGuire, Bolier, Restoration Hardware and other top tier design houses. 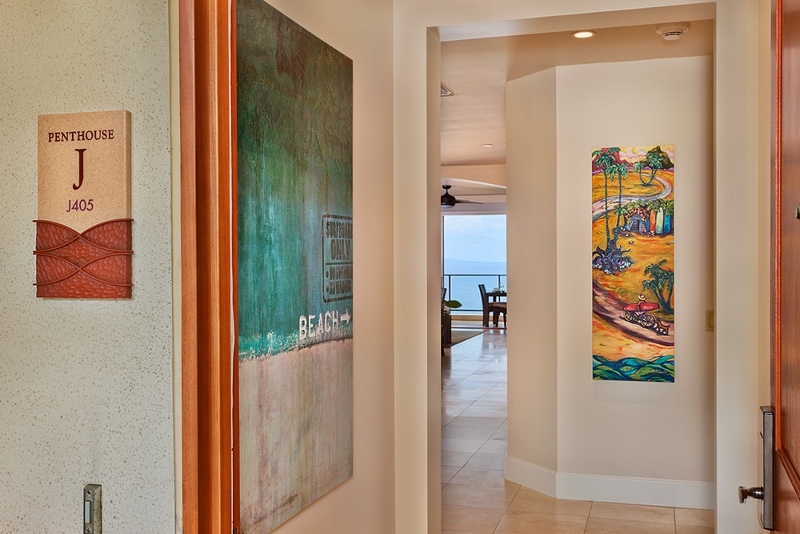 In-villa art selections including original works by Cheryl Kline, Peter Lik, Dewitt Jones and Kim McDonald. 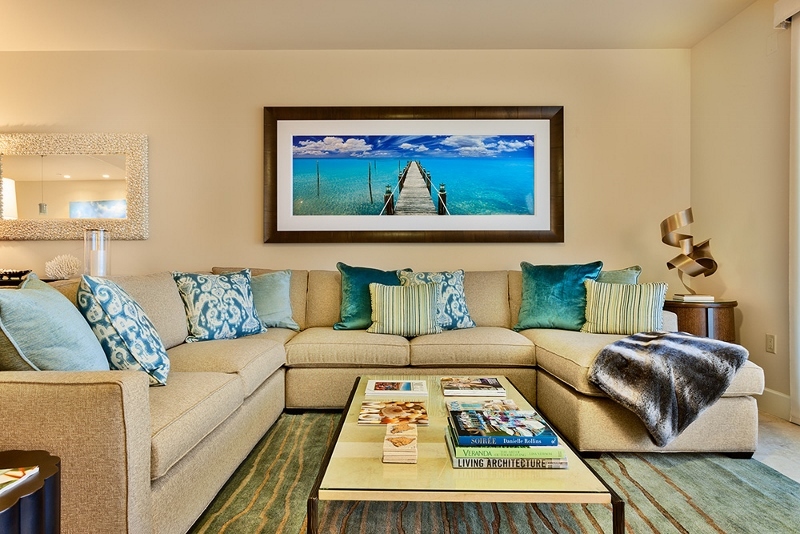 The palette of Sea Breeze includes light neutrals and taupe, and a mix of blue and green tones ranging from forest green to aqua and teal. 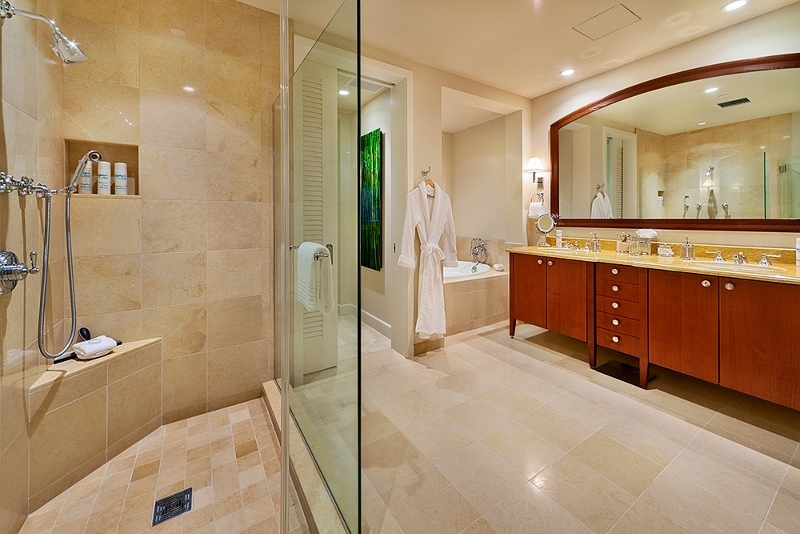 The overall effect is tastefully subdued but warm and inviting, as well as restful and soothing. 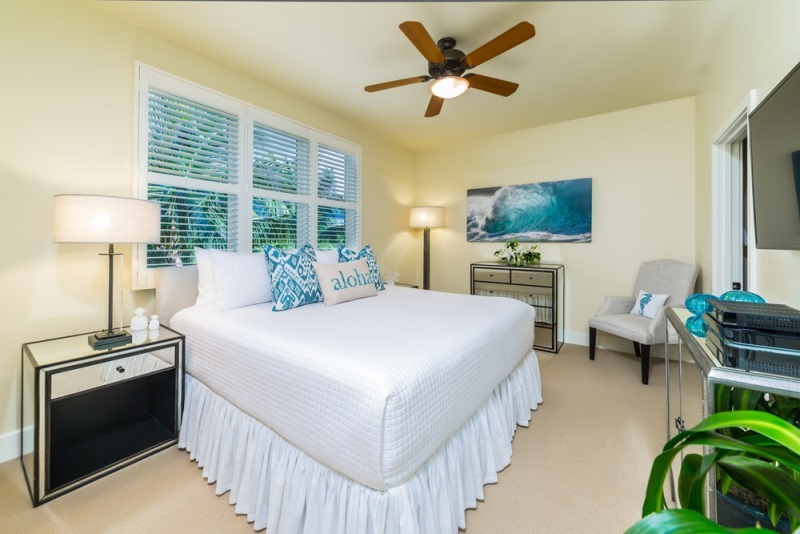 The entire interior of Sea Breeze J405 was newly purchased and installed at the end of 2013, including all new indoor furniture, patio furniture, area rugs, beds, tables and chairs, bed and bath linens, electronics, lighting, kitchen goods, and original Hawaii sourced quality art work. 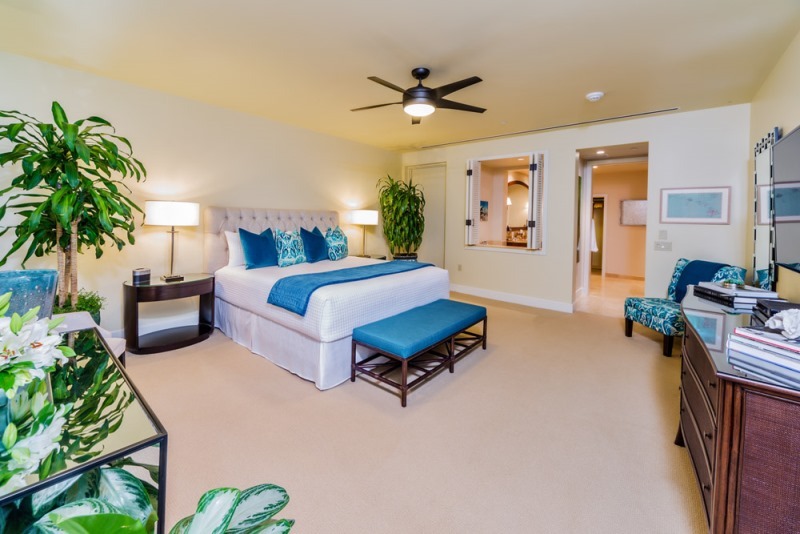 The brand new bed mattresses are top quality, and are said to be even more comfy than the Westin Heavenly Bed. 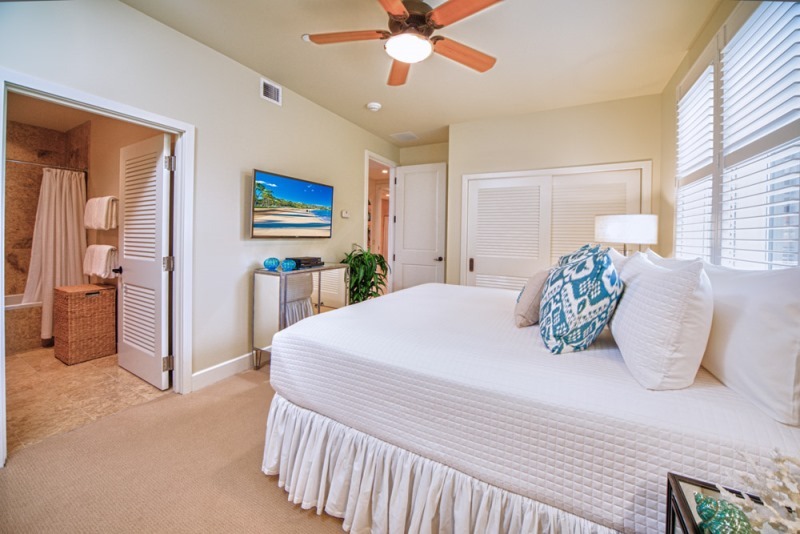 There are three private bedroom suites (Cal King, King, 2 Extra-Long Twins/King), and three full bathrooms each with a tub and shower, with more than 2,200 square feet of indoor and outdoor living space. 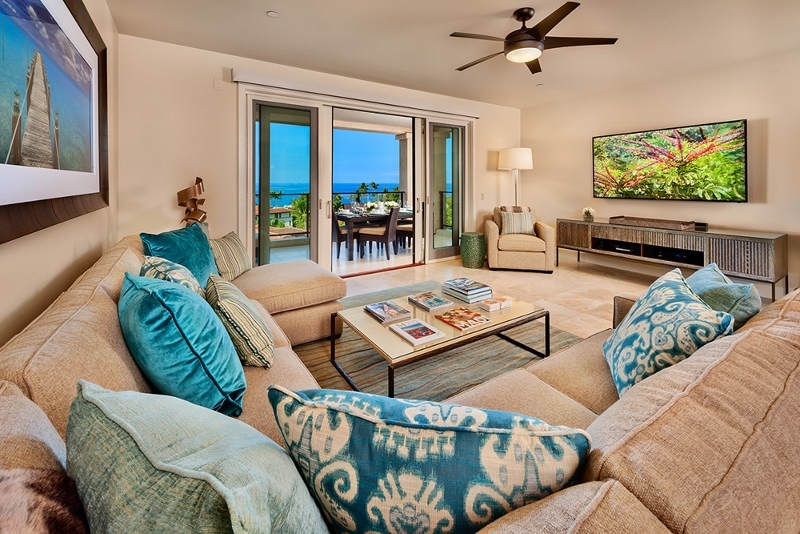 Sea Breeze J405 will have some of the largest state-of-art flat panel HD televisions cleanly wall-mounted with all wiring hidden in the walls. 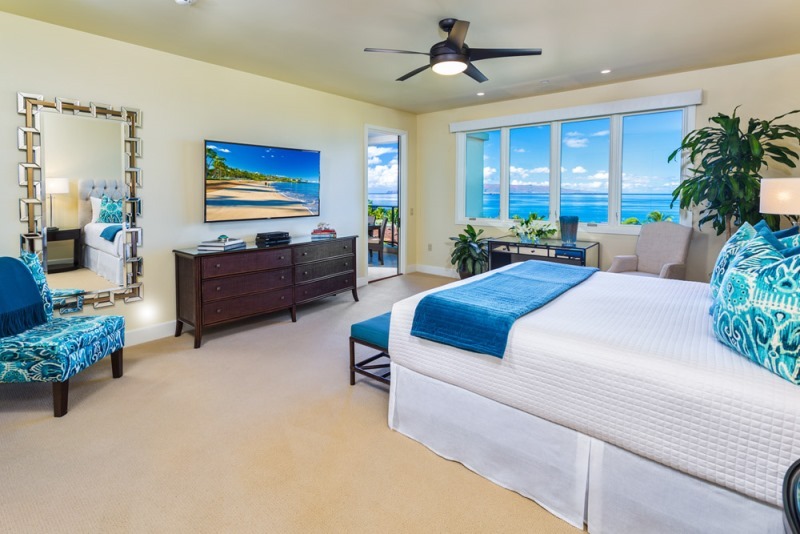 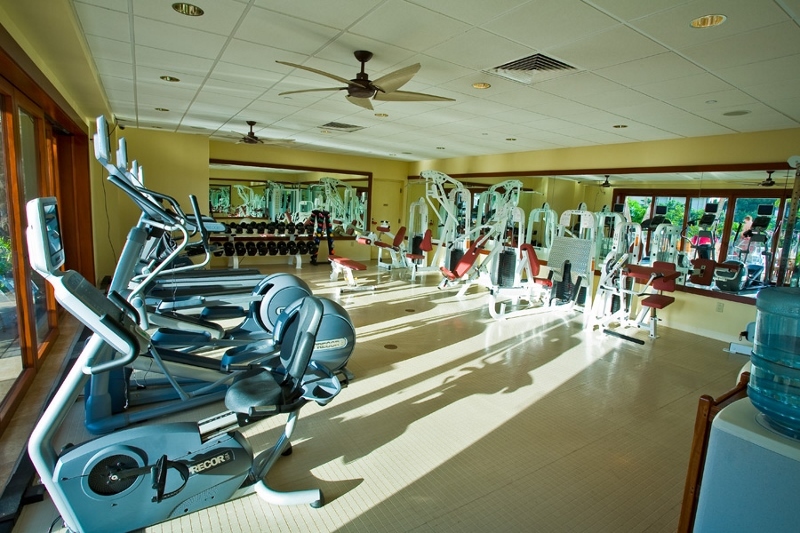 The Great room will have a 75″ TV, the ocean view master bedroom will have a 65″ TV, the second mountain view master bedroom will have a 55″ TV, and the third bedroom will also have a good quality new flat panel oversized HD TV. 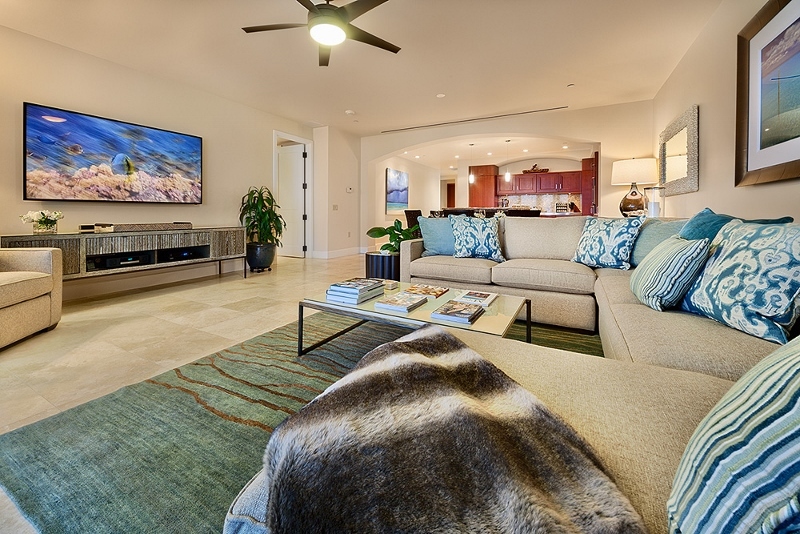 The great room and all three bedrooms will each have HD cable boxes, CD/DVD players or Bose Stereo Sound Systems, iPod docks, and Netflix accounts. 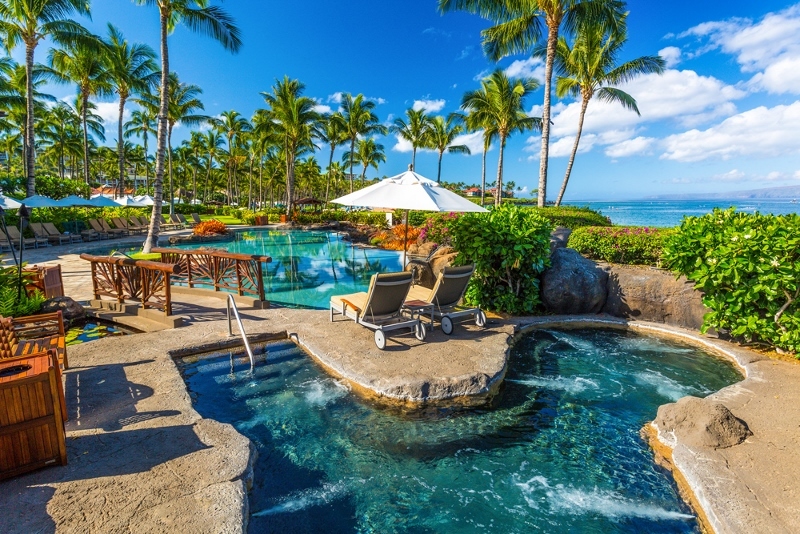 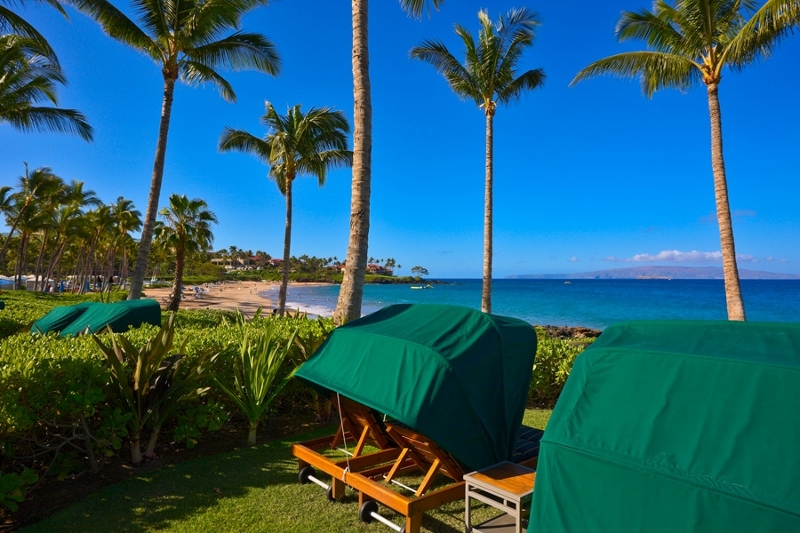 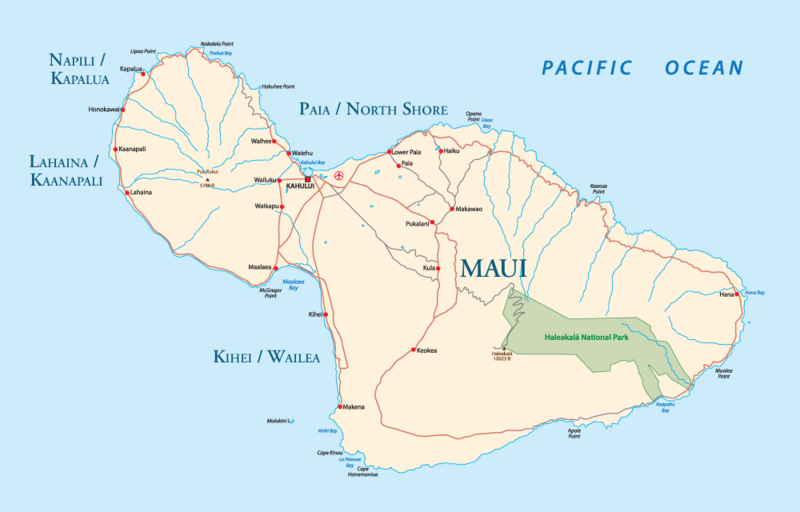 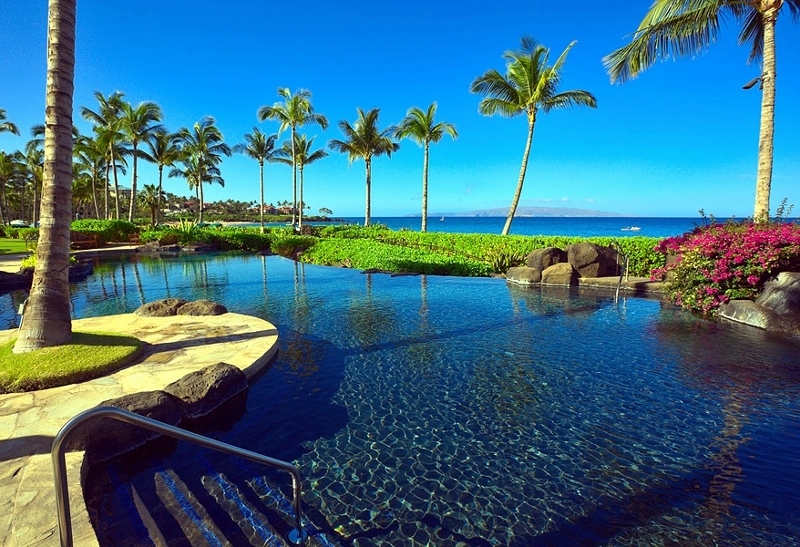 After you’ve spent a few days playing on Wailea Beach directly in front of the Wailea Beach Villas Resort, you may enjoy an excursion to any one of several dozen alternative sandy swimming beach parks on Maui. 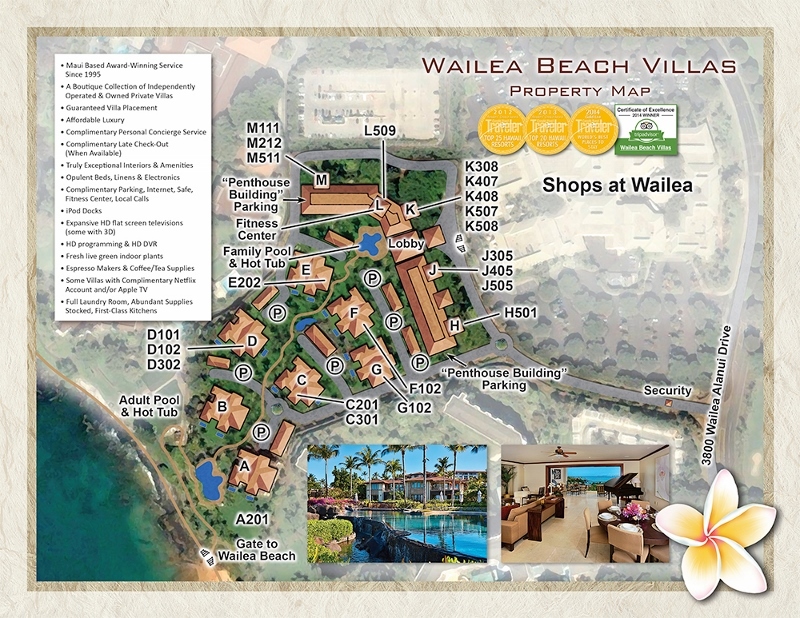 We stocked an array of beach items for you to borrow such as beach umbrellas, beach chairs, beach towels and a cooler.